I am sooooo excited to learn that the "Knotties" are chatting about me :-). 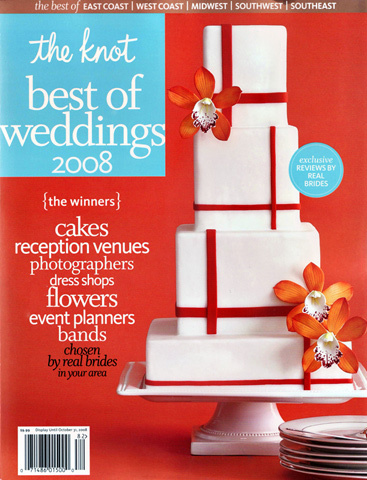 I was voted Best of 2008 for New England photographers! And it wasn't until this morning that I got wind of this from fellow photographer Brittnay Blando as she congratulated me. Many thanks to all the brides out there for their recognition as this honor is based on client feedback and satisfaction thru a survey done by The Knot. A Million Thanks! The magazine is out on the stands now should you want to grab a copy! that's an amazing honor. congratulations!